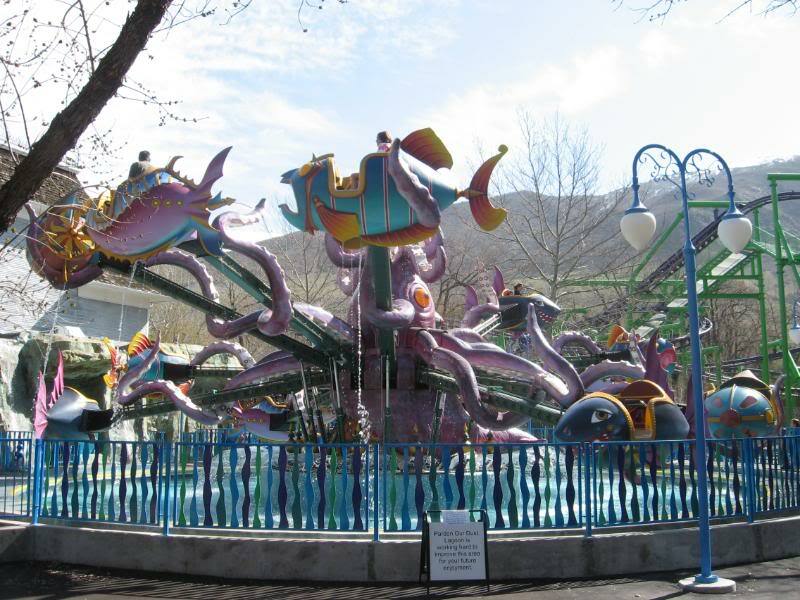 Char has wanted to take Heidi Anne to Lagoon (think Six Flags for Utah) since she was five years old. Sadly, things keep getting in the way. She has been wanting to go since Disney World after she discovered roller-coasters and thrill rides. (I may have an adrenaline junkie on my hands). Well, Heidi Anne is very lucky to have very cool aunts who adore her. For her cousin A's birthday she wanted to go to Lagoon and bring Heidi with her. 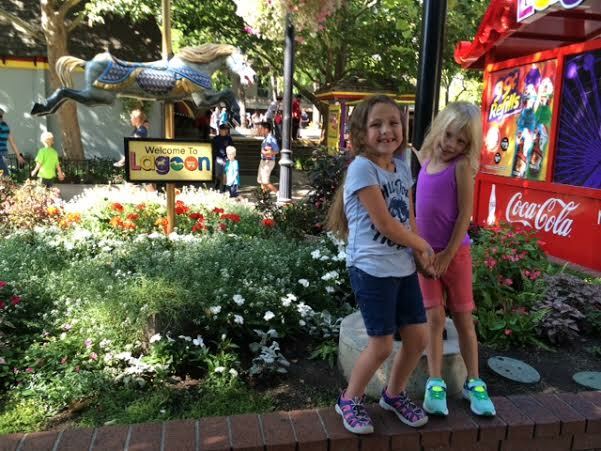 To say the least Heidi was excited to finally go to Lagoon. Sure it wasn't with Dad but it was with family; Cousin A, Cousin H, Uncle Z and Aunt E, who sent us pictures. 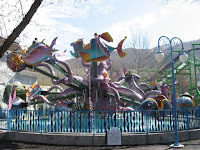 They went on a lot of rides, mostly the kid ones since they were 2 inches short for the more adventurous rides. 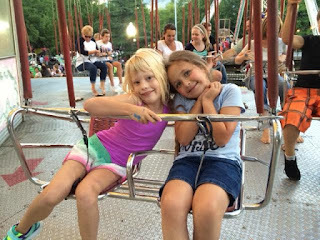 Here they are on the swing ride which they loved. They also went on a big kid roller coaster called The Bat, which was awesome according to Heidi Anne. They mostly stayed in the kid section, where they rode spinning cups, an air plane ride, little roller coasters. 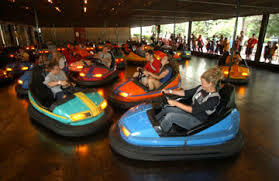 They did bumper cars (which Heidi sadly failed at). She didn't really know how to drive the car and was spinning around in circles in one spot. 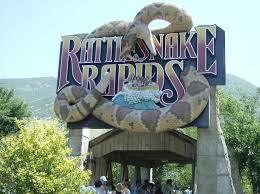 They also got to do some water rides, like the Rattle Snake Rapids, and the OdySea. Heidi tried to stay dry on the water rides, thanks Uncle Z for riding with her. 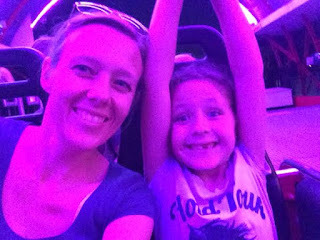 Here she is with Aunt E getting ready to ride the 100 year old, wooden roller coaster, in the dark. Apparently, while there was light Heidi was full of bravado, but going on a unlit roller-coaster in the dark will remove that from you. From what I'm told, she was screaming the whole time. This was the coaster I thought she would love. According to her, she thought it would break at any minute.